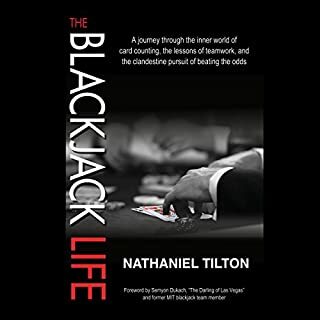 If you have any interest in Blackjack and all of the nuances that are involved to be successful, this is a winner. The author does a nice job of taking us through the journey from a complete novice to a seasoned professional. Many years ago I spent the time to become pretty proficient at counting cards and had some fun with it. This book makes it clear how much more is involved to really turn 21 into a profitable "business". His story seems totally believable and does not come off at all as bravado. He also references some other quality pieces of literature for those that are truly serious. Honestly, A.W. 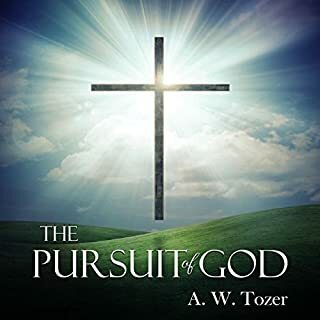 Tozer is such a giant in modern Christian history that I feel inadequate to really critique the man. Some people may not appreciate his views on predestination. However, there is still so much good content that this book, in my mind, that it is certainly worthwhile for everyone. On a regular basis, I would find myself stopping to spend a few moments pondering the content. The narrator is top-notch. He delivers the book with perfect balance- not over the top, but not dry or unengaged. D is for Dwarf: An Alphabet Book for Grown-Ups! Long ago, in a land far away, there lived a beautiful princess named Snow White. Okay, it wasn’t long ago, it was just a few minutes ago. And it wasn’t far away, it was the Bad Apple Miniature Golf Course/Action Fun Park in New Jersey. Come join your favorite characters: Snow White, the Queen, the Pepperoni Prince, and of course, the dwarves - Farty, Disorderly, Complimentary, Turkey, Sleazy, Juicy, and Smug. Fractured Fairy Tales for Adults. 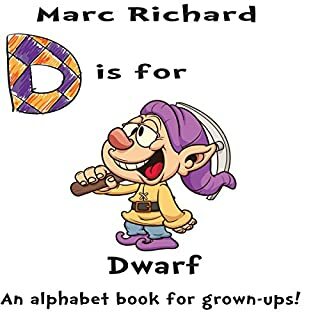 I had never listened to any of Marc Richards "Alphabet Books" before, but I enjoyed my time with this short story that is based very, very loosely on Snow White. It may not be the type of humor for everyone, but I went in expecting it to be a little over the top and irreverent. It was both of those things. I anticipated that some of the antics were going to go too far as the story progressed. However, I thought Richards did a good job of not going over the line. It may be classified as somewhat sophomoric humor- but I thought it was funny- so who cares! The narrator's New York accent works well with the story. I received this audiobook at no charge in exchange for an unbiased review. 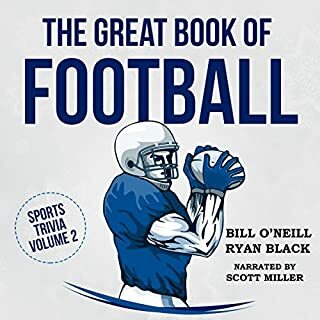 If you love sports trivia, then you'll be all in for The Great Book of Football, which is a must-read for any NFL fan out there. One of the most inclusive NFL football books on the market today, it's a treasure trove of sports stories, random facts, and the most in-depth tales of the most fascinating football players who have made the NFL what it is today. I am a football fan, but I did not have a clue about many of the facts and history that are presented here. If you can absorb just a fraction of the information, your pro football IQ will be well above the average fan. The author did a good job giving a chronological rundown of all kinds of facts related to the NFL. I thought the narrator did a good job with this type of book. It required a reading that was not too dry but also not too dramatic- I felt he hit just the right balance. Private investigator Johnny Delarosa has seen it all. First as a cop, and now as a private eye. Cheating spouses, embezzlements, and insurance scams are routine. But he meets his match when the alluring, auburn-haired Claire Dixon walks into his bar/office and drops a $20,000 retainer in his lap. She wants the hard-drinking Johnny to find $2 million that was stolen from her mobster family 30 years earlier. But $2 million can be motivating. The writing is superb- the characters are wonderfully developed and the settings are impeccably painted. The scenarios seem very believable. 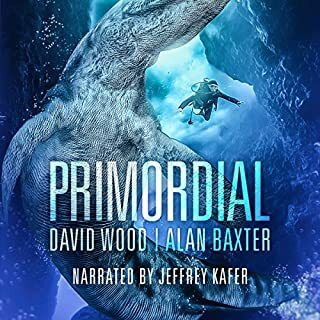 The narrator is one of the best that I have heard. It did end leaving me feeling a little bit hollow at the end, but I suppose that is what I was meant to be feeling. Overall just a very engaging book, I would put it in my top 10% of all time. A &quot;fun&quot; monster/mystery book that doesn't let you get bored. The characters are well enough developed to make you care- and the monster is revealed craftily throughout the story. The author does a good job bringing in different cultures and interesting scenes. The narrator is more than adequate at pulling off a not-so-easy cast of characters. I received this audiobook at no charge in exchange for an honest review. 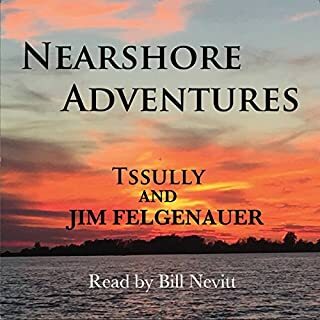 Todd and Sheryl Sullivan writing as Tssully share their adventures while fishing in the Huron-Erie corridor of the Great Lakes. Novice and experienced fishermen alike will both enjoy their successes and failures and the learning experience that comes along with it, while fishing for multiple species. Whether you enjoy fishing in a lake or river environment, the listener can pick up some new techniques by following them along on their journey. Not particularly. I've spent many hours fishing in some of the same waters that this book referenced. I anticipated more nuggets about locations, places or just fishing in general that would be interesting. The authors seem to be good people- folks that I would enjoy as friends. Unfortunately, the description of how they came to be fishing guides just doesn't seem quite worth being put into a book. What three words best describe Bill Nevitt’s performance? Was Nearshore Adventures worth the listening time? Meh. I'm not upset that I listened, but I'm glad it wasn't a long book. Fifty-eight minutes into her first day on the job, 23-year-old Sheriff Piper Blackwell is faced with a grisly murder, the victim artfully posed amid decorations on his lawn. Drawing on former military training, Piper must prove herself worthy of the sheriff's badge, and that won't be easy. Chief Deputy Oren Rosenberg, Piper's opponent in the recent election, doesn't like her and wants her to fail. Start a new job with... murder...? Would you consider the audio edition of The Dead of Winter to be better than the print version? I believe I would have enjoyed the book more in the printed form. I would not consider the narrator bad. 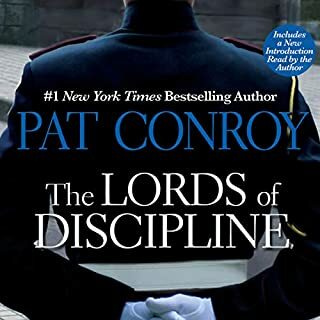 However, when compared to the quality of narration of other Audible books that I have enjoyed, I would have to rate this one near the bottom. The variation between characters was not very good. 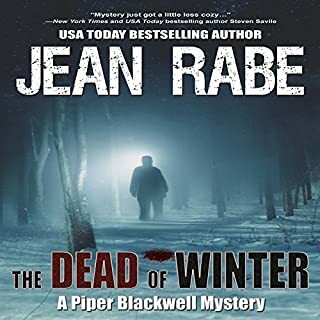 What other book might you compare The Dead of Winter to and why? Crockatiel by David Wilson would probably be the closest that I can recall. It leans a bit more to the campy side. However, both are kind of fun (as far as a murder mystery can be "fun"). And both are written in PG format, which I appreciate. I think so. I did notice a couple of small glitches that were related to the editing- not the narrator. No extreme reaction. The author did a good job creating believable characters. Also, Piper, was created in a way that will work very well for her to continue to develop through the series. I received this free audiobook in exchange for an unbiased review. 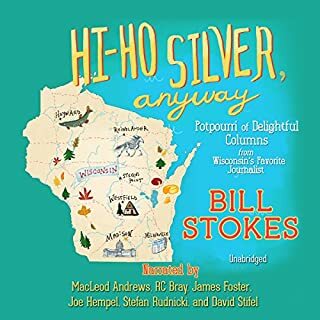 For 10 years Bill Stokes was a roving reporter and columnist for the Milwaukee Journal. He has written reams of material about his vivid impressions of people, animals, events, personal activities, and "things in general". Bill Stokes obviously enjoys his role as Wisconsin's favorite journalist. In this delightful book he shares that fun with all. More good stuff by a great story teller. This is my third audiobook by Bill Stokes. Even though most of the snippets in this book are from several decades ago, they are still relevant and entertaining today. His stories range from having an emphasis on funny outdoor adventures/mishaps to more personal things dealing with relationships and emotions- topics that are always relatable. Personally, I preferred Trout Friends and Other Riff-Raff the most of the three books. I think it is because the stories were a bit longer on average- probably around 10 minutes or so. However, this book was also very good. Several times I found myself smiling or softly chuckling along with the stories. At other times, Bill pulls at your heartstrings. Several narrators collaborated on this book, taking turns reading several stories at a time. I usually do not care for that format. However, these narrators all did a very good job and I found myself enjoying the variety they brought to the table. If you're looking for a read to brighten your day -and one that can often do it in just a few minutes- you should give one of Bill's books a try.